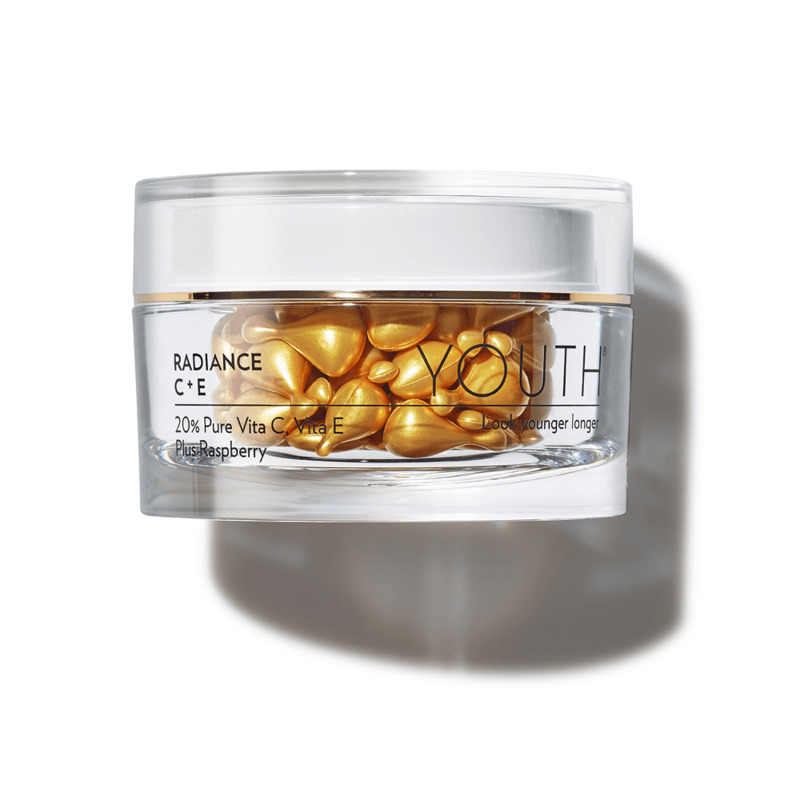 Radiance C+E is a powerful patented formula of 20% pure vitamin C and vitamin E plus raspberry cell extract to plump, brighten, and visibly reduce the appearance of lines and wrinkles. Radiance C+E reduces the appearance of age spots, smooths skin texture, and improves overall skin tone. For even better results, add to the Advanced Anti-Aging Regimen. Apply after Perfecting Skin Toner and before the Youth Activating Serum. Convenient single-dose capsules are plant based, vegan, 100% biodegradable and allow for a preservative free formula. YOUTH products are all 100% vegan and cruelty free. Powered by: 20% Pure Vitamin C, Vitamin E, plus Raspberry. Offer is available in the U.S. and Canada from Thursday, August 10 through Sunday, December 31, 2017. 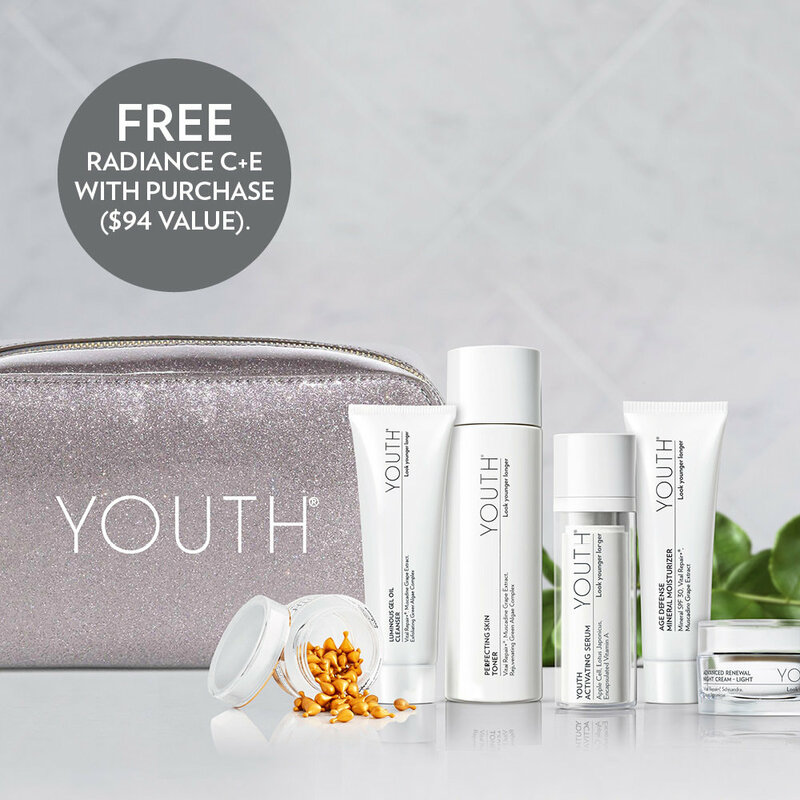 Must place order on Autoship to receive free Radiance C+E gift.